Hello everyone, CEO Olivia here. As you should know by now, my Barkday card drive is underway. My Barkday is June 21st. I’ll be turning 8 this year. I’m asking people to send me a Barkday card with a $1 donation to the Wally Foundation, or make a donation through PayPal. Today I want to tell you why I’m raising funds for the Wally Foundation. As you know, I live with canine idiopathic epilepsy. 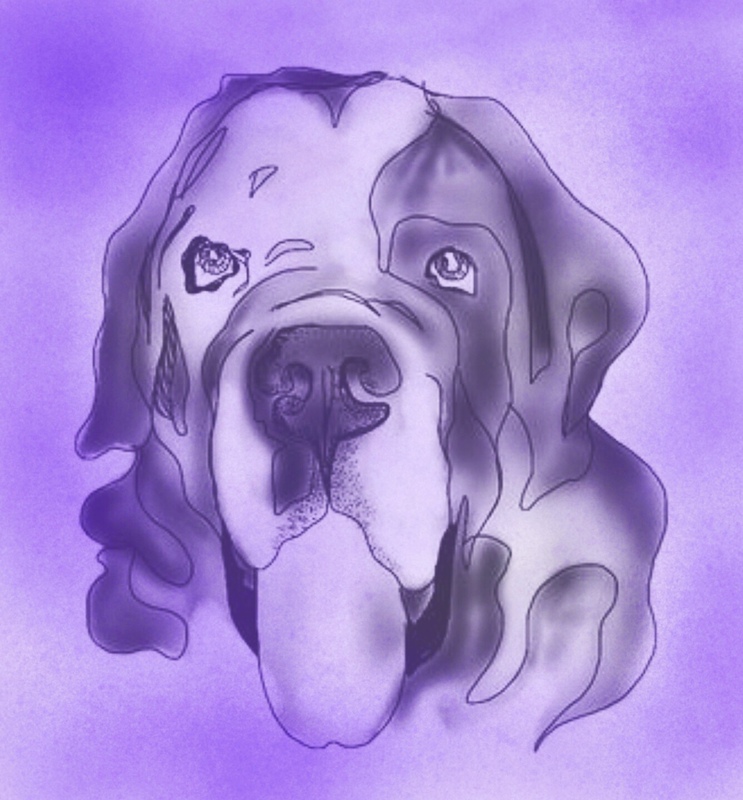 The Wally Foundation has a simple mission & purpose; “To assist owners of epileptic dogs, rescue groups & animal shelters to pay for medications & treatments related to canine epilepsy”. They redistribute medications that have been donated as well. The Wally Foundation also operates to offer support, assistance & to raise awareness. Their website & Facebook page provides news, research articles & helpful links. The Wally Foundation & we here at Knotty Toys for Good Dogs believe that no one should have to lose a beloved family member for financial reasons. Nor should any dog rescue or animal shelter have to turn a dog away because of canine epilepsy & the expense of treatment. A Purple T Shirt designed by Dean Russo & an engraved Dog Tag donated by Critter Comforts. Are we talking about actual snail mail birthday cards or online ones through The Wally Foundation? You can either send one snail mail or make a donation through PayPal. If you make a donation through PayPal leave a note stating ‘Olivia’s Barkday’.